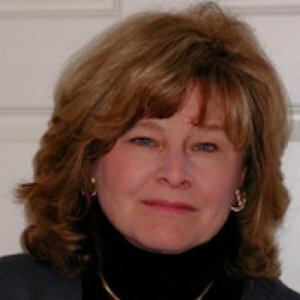 Professor Margreth Barrett is a graduate of the University of South Florida, B.A. Journalism, English Literature (1973); the University of South Florida, M.A., English Literature (1974); and Duke University School of Law (1980). She joined UC Hastings in 1984, after practicing law for three years with Howard, Rice, Nemerovski, Canady, Robertson & Falk, in San Francisco. While in law school, Professor Barrett served as the Editor-in-Chief of the Duke Law Journal, and held Duke Law School's Hardt Cup moot court championship. She completed her legal education by serving as a law clerk to Judge Gerald Bard Tjoflat, on the U.S. Court of Appeals for the Fifth Circuit. After serving as UC Hastings' only Intellectual Property specialist for many years, she was delighted to welcome new colleagues in the field, and to work with them to build the College's Intellectual Property concentration. Professor Barrett is the author of a casebook for the survey course in Intellectual Property (presently going into its fourth edition), and articles addressing a range of issues in the intellectual property field. In recent years she has focused much of her scholarship on the impact of the Internet on trademark rights. When she is away from work, she enjoys spending time with her two sons, Andrew and Robin, hiking, reading and classical music. My favorite part about teaching you is... the incredible range of talents, experiences and interests that Hastings' students bring to the College. My students include artists, musicians, scientists, journalists, architects, engineers, fashion designers, business entrepreneurs, and computer whizzes. They are smart, creative, insightful, and great fun to get to know. What I hope you get from a legal education at UC Hastings is... methodical, precise, logical legal reasoning skills,the ability to use creativity in analyzing legal problems and constructing solutions; strong legal writing skills, and a solid framework of substantive legal knowledge to ground you in the practice of law.